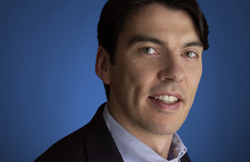 Tim Armstrong's First Earnings Call: "Fragmentation Is Our Friend"
AOL announced its first quarterly earnings today as a newly public company. Fourth quarter revenues dropped 8% to $471.6 million, and turned a profit of $1.4 million (see the slides below). Notes from CEO Tim Armstrong’s first conference call are below. He laid out AOL’s strategy, warned that sales would probably be dampened this quarter as a result of reducing a third of its workforce and noted that “AOL is not a quarterly project.” He emphasized Aol’s content strategy, with the build out of AOL’s new content management system Seed and acquisition of StudioNow on the video front. Armstrong went into some detail about AOL’s nichebuster strategy, noting that “fragmentation is our friend.” He also said that AOl will pursue new paid subscription services in the future. The sales team is now given incentives to sell more premium ads on site than across AOL’s ad network. AOL plans on closing money-losing international operations, which will result in a $125 million hit to revenues, but Europe alone lost $50 million so its income statement will look healthier after the exit. Display advertising is forecast to remain flat, but the mix will shift from network to premium ads on AOL’s owned properties. completed spinout from Time Warner. 1.	in content, building content platforms for journalists on the web, matching technology with content can capture large audiences. It is difficult to remove a third of workforce without some impact, may see some dampening on ad sales, AOl is not a quarterly project. Q: What are new lines of business AOL is launching? One is ion conetnet, Seed is largest cross company prject in a few years, formulation of a product we hope to bring to market over the course of 2010. StudioNow acquisition on video side is similar ro Seed. You will see us bring projects that help us scalle teh conetent on teh Web and loosk different than the contenet you see on eth Web today. We continue to work with advertisers and ad agencies. new ads platform will have some new features oin it. In tehlocal area, we continue to launch Patch. The Q for us is how much we scale it in 2010. Q: Why does niche at scale stratgey make sense now. Seems like it depends on doing well in search. Armstrong, niche at scale is actually quality at scale. What uou consider niche, we don’t. Some people may look at Engadget as niche, but that blog won blog of the decade and also was the official blog covering CES. We had a partner in Sprint that saw that as attractive. It is a scale advertisers find very attractive. A content strategy that people relate to. We are able to bundle those audiences together and create scale for advertisers. Seed and StudioNow wil help us fuel more properties like an Engadget. Q: Audience numbers, paid services? Armstrong: You might see bumps in total uniques, but company is getting healthier underneath as we shift our content strategy. Will shut some properties, open new ones. Will audience grow overall? I am not sure, but focussed on growing audiences in specific category? People look at paid services as dialu-p access, there are other paid services, where people bring their own access. It is an interesting asset as paid services are becoming more viable. We look at services and subscriptions as areas we will be testing this year. There were a number of deals before that were unprofitable for us. The company was hooked on pageviews. We are now focussing on net revenue. on acquisition,$37M StudioNow, I have said this before, we are out of the Hail Mary business. I think StudioNow is great example of what we would hope to do in the future in M&A. They have great group of people,strong leadership and strong engineers. On search deal, we have had a great partnership with Google, we continue to be close to them. What we are expecting to get out of search deal is longer-term partnership where we are both aligned. We have along partnership with Google. Marketplace is more competitive. First and foremost if you are looking for us to squeeze more dollars or pennies out every quarter, you are going to be disappointed. Looking for a deal that helps our strategy, a reasonable deal for us and the partner. We are a content focussed company, distribution is almost as important to us as money, we will look for distribution as much as money in the deal. Q: divestitures, what are non-core? CFO: likely we will trade some assets away if we can get a good deal and they are non-strategic. Q: How will brand advertising on the Web grow? Also international shutdowns, more color? Armstrong: I think there is less apprehension from brand advertisers moving to the Web. The reality is that brand advertising online or offline hasn’t really changed. Brands like to connect themselves to stronger brand experiences. If your P&G or someone like that you want to put yourself with other brands of the same quality. That is what we are about, high quality content and sites that are transitional for high quality brands to go from offline world to online world. I had an experience last ten, 15 years doing advertising every single day, advertising that was accountable, clickable, fortunately for my last company we got the whole industry thinking that way. If you are a consumer walking down the aisle and there is a generic and branded detergent, our job is to put that brand around quality content to make that consumer believe it os worth it to pay more for that branded detergent. Q: you have very attractive margins in access and search, display is less, what is overall profit margin you are looking at and what is the key driver of margins in display? How do you drive margins in the display side? Armstrong: What it comes down to is user engagement, our ability to do high-quality content. Armstrong: I would highlight from 2009, we are very happy with how we did, when you layer on a global cost restructuring and a spin-off from Time Warner. We care more about execution than you do. We have a clear strategy we want to deliver on. We are not focussed on quarter over quarter results, but how does AOL become a very valuable property on the Internet. I would like to thank the employees of AOL, everyone worked exceptionally hard, pulling double duty.